Now that the September wheat harvest is in full swing, Jim Nollmeyer has bees on his mind. Thousands of bees. 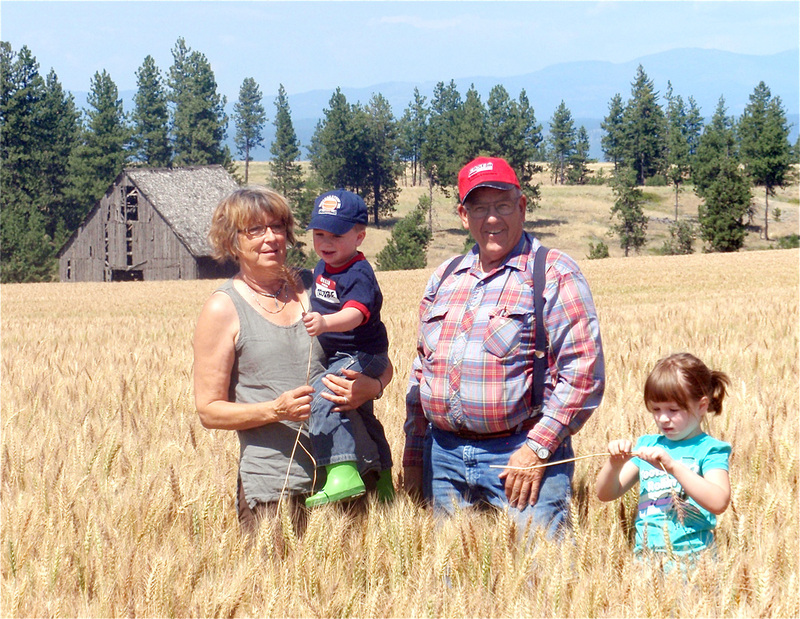 Owners of Nollmeyer Farms, one of the Northwest family farm suppliers to Stone-Buhr, Jim and his wife, Barb, have been raising wheat in Reardon, WA since 1976, and farming sustainably nearly just as long. Though he was drawn to farming life as a young boy, Jim left home to become a Lutheran minister. 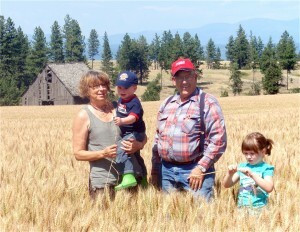 Missing rural life and always seeking a new challenge, he left college and purchased land in Eastern, WA. Jim noticed immediately that his farm was losing rich topsoil to erosion and adopted a ten-year plan to slow the erosion by introducing new practices of no till farming. Direct seeding was still in its infancy, but had a huge impact, changing the ecosystem on the farm. Once more water was available, other positive changes slowly followed. “Even the ducks stayed,” Jim recalls. With the recent decline of the bee population and the Nollemyer’s crops in danger of losing their pollinators, Jim decided to bring back the bees. He is planting 100 acres designated as pollinator areas for bees in an attempt to allow plants like shrubs and wild flowers to bloom during three seasons. Jim took 1,300 acres out of production for the Conservation Reserve Program, a program funded by the government that provides financial assistance to farmers who plant vegetative cover crops to stop erosion. “Investing in an effort to recapture the bee population has value for our neighbors, as well as to the greater world, ” said Jim. In addition to trying to rebuild the bee population, Jim sees pheasant, wild turkeys, moose and elk sharing his habitat. “We have to look at the entire watershed and all the good that direct seeding is doing for the land,” said Jim. Currently in the preparation stage for his bee experiment, Jim hopes to see large numbers of bees return in the spring of 2013. “From improved air and water quality to less soil erosion, farming practices that benefit the land are crucial.” And of course, the bees are happier too!